This week there was not much this and even less that going on with the Penguins. There were, however, injuries wrapped in mystery and goalie goals. 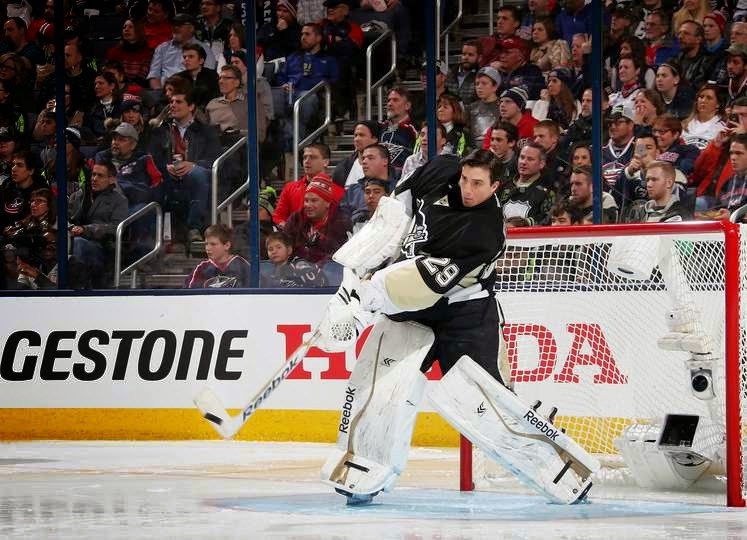 - Marc-Andre Fleury scored two goals in the skills competition at the All-Star Game. I wanted to see him jump up and down….do cartwheels….something! But he was cool about it. You know he’s saving the celly for the one he scores that counts. "You. Have. Got. To. Be. Kidding me." 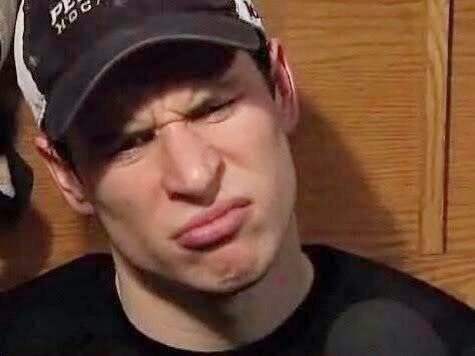 His rant included pointing out that Crosby is the face of the league as though that conveyed invincibility. He went on to offer that Crosby was held without a point during Wednesday’s game with Chicago but clocked 23:06 TOI and (gasp) he took a shot in the shootout!! Obvious evidence of a faked injury. Give me a break, Puck Daddy! Did you weigh in on any other guys who pulled out? (insert giggle of 12 yr old here) You and every other media outlet manipulates the Crosby ethos to fit your scenario. He’s either the face of the league when everything is hunky-dori or whatever evil manipulator you need him to be when things go south. Bottom line is he owes no more of an explanation for missing the ASG festivities than Sergei Bobrovsky or Jimmy Howard. - Do you remember the FoxTrax Glow Puck….’cause I didn't. It was last used in 1998. Apparently it was a way to track the puck during games in an attempt to make hockey more viewer-friendly. Primarily used for puck on-screen visual tracking. It died an ugly death. The NHL and the NHLPA debuted their new player tracking system during the skills competition, and expanded it's use during Sunday’s All-Star Game. Sportsvision, the company behind real-time tracking and graphics in NASCAR and the NFL, embedded chips inside pucks and players’ jerseys that can time their time on ice as well as time associated with the puck. Fans can watch an archived game through this technology with the ability to break down each goal based on shot distance and the position of teammates. Instant fancy stats! Those fond of pointing out the suckage of Craig Adams can track his every move and, at the end of the game, blow him to smithereens if they so desire (ok...... I don’t know if that last thing is true). We got a taste of the technology during the ASG festivities. I liked to be able to see the path the puck took but really didn't see it used much. I'll reserve judgement.